(Abidjan) – Trade experts today called on the member states of the Economic Community of West African States (ECOWAS) to step up efforts to minimize the burdens that non-tariff measures (NTMs) place on businesses in the region. Meeting in Côte d’Ivoire’s economic capital, Abidjan, the experts highlighted that countries needed to diversify and increase their portfolio of exports, set up trade obstacle alert mechanisms, and standardize technical and regulatory requirements. Forming the background for the two-day (14-15 June) meeting ―officially opened by Jean-Louis Billon, Côte d’Ivoire’s Minister of Trade, and organized by the International Trade Centre (ITC) and the African Development Bank (AfDB) ― was a series of business surveys on NTMs in Benin, Burkina Faso, Côte d’Ivoire, Guinea, Mali and Senegal, carried out by ITC. These explore and identify how NTMs hinder the smooth flow of goods across sectors and markets. The surveys found that the majority of obstacles faced by businesses are applied by both home countries and by ECOWAS partners. In fact, in the six surveyed ECOWAS countries, 73% of the firms surveyed indicated facing burdensome NTMs (on exports and imports) both within and outside the ECOWAS region. Around 26% of burdensome NTMs reported by agriculture exporters are faced in their home countries, whereas in manufacturing, 32% of NTM cases recorded are related to obstacles found at home. For businesses in the manufacturing sector, the surveys found that common obstacles arise in relation to rules of origin and the issuance of certificates of origin – both of which are critical to determine the tariff treatment traded goods qualify for. Meanwhile, in the agriculture sector, conformity with health, safety, and other technical requirements is one of the main obstacles to trade. Conformity assessments include product certification, inspection requirements as well as registration processes. ‘These surveys on NTMs are a further step towards bringing down barriers to growth across the ECOWAS. Together with the AfDB, ITC will continue supporting the African countries in their efforts to ensure that trade becomes a viable tool in eradicating poverty,’ she said. Another common finding of the NTM surveys relates to procedural obstacles. They found that many challenges are directly linked to delays and high costs of compliance and clearance procedures, often because local authorities lack modern equipment. Stefan Nalletamby, the Acting Vice-President Infrastructure, Private Sector and Regional Integration at the AfDB, said that ‘most of the bottlenecks are related to application procedures that hamper directly regional competitiveness and might be a major obstacle to regional integration and economic development in Africa’. ‘African governments have shown great commitment in putting in place clear and well-intended regulations. Now all our efforts will be directed towards the implementation process,’ Nalletamby added. 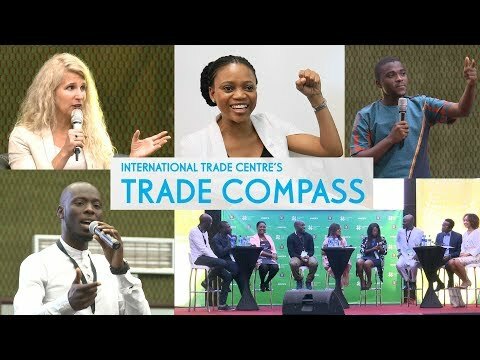 Pointing to the enormous untapped potential for economic growth in the ECOWAS region, the surveys recommend the streamlining, and where applicable, removal, of NTMs across member states to promote lower trade costs, which in themselves would be a powerful tool to strengthen regional integration. About NEPAD Regional Integration and Trade Department at AfDB - The NEPAD Regional Integration and Trade Department (ONRI) is responsible for driving regional economic integration activities within the African Development Bank to promote regional integration and trade on the continent. In its role, ONRI supports regional infrastructure development; enhances industrialization and trade; supervises the project preparation facility which focuses on preparation of high quality multi-country infrastructure projects; supports the creation of an enabling environment of private participation in infrastructure; as well as implements targeted capacity building initiatives in infrastructure development and trade. ONRI also engages in policy dialogue with regional member countries (RMCs), and regional institutions on technical aspects of regional integration, in line with the five pillars of the Bank’s High 5s vision.